The man accused of stabbing his girlfriend and his parents with scissors in Acton, Massachusetts, will undergo a mental health evaluation. A man accused of stabbing his girlfriend and his parents with scissors during a domestic dispute in Acton, Massachusetts has been ordered to undergo a mental health evaluation. The triple stabbing happened around 10:30 p.m. Thursday on Haynes Court, where a male suspect, identified as 25-year-old Benjamin DiCristina, was taken into custody, according to the Middlesex district attorney's office. 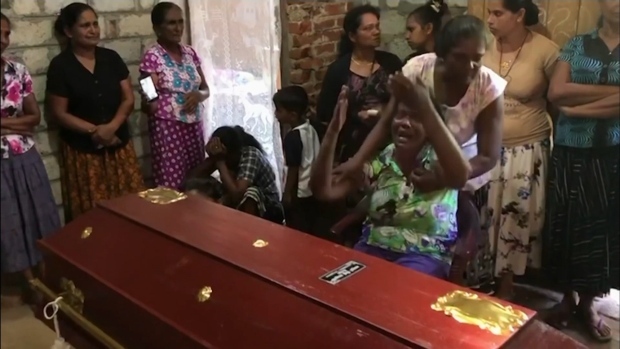 All three victims -- identified as his 57-year-old father, his 56-year-old mother and his 28-year-old girlfriend -- were taken to nearby hospitals, officials said. His mother told police she woke up to him screaming, standing over his girlfriend with his hands around her neck. The police report says that during the assault DiCristina was screaming about how he was possessed by demons and people were telling him to kill his girlfriend. 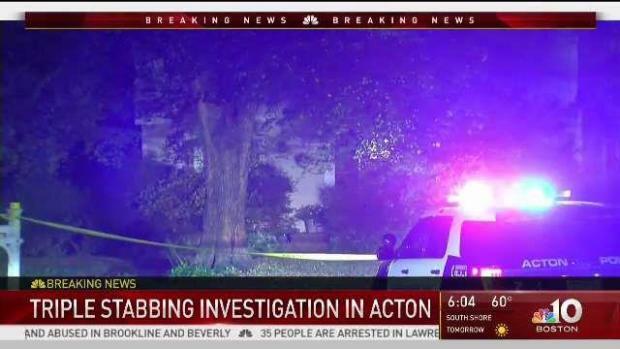 State and local police in Acton, Massachusetts are investigating a triple stabbing that happened in a domestic dispute. Prosecutors said DiCristina stabbed his father numerous times in the neck, stabbed his mother in the head and his girlfriend in the chest. His father is not expected to survive. His mother suffered superficial injuries, and his girlfriend suffered more serious injuries. Authorities said one of the female victims was able to call 911 during the attack. When officers arrived and asked DiCristina if he understood his Miranda rights, he replied “Yes, I’m a murderer,” according to the police report. Prosecutors said DeCristina had visited a hospital with his parents on Wednesday because of previous issues. DiCristina is facing multiple charges, including two counts of armed assault with intent to murder. He appeared in court Friday but his arraignment was postponed until he received a mental health evaluation. A doctor determined that he needs additional competency exams for the next 20 days. He was arraigned later in the day and ordered held without bail. He is scheduled to return to court on Oct. 25 for a status hearing.